Here in Shanghai, the old meets the new, skyscrapers juxtapose the traditional pagoda architecture. We stayed in a downtown hotel, the Central Hotel Shanghai. Immediately upon our arrival downtown our eyes were drawn upward. Everything is taller in Shanghai. Uniquely designed skyscrapers reach for the heavens. Our first stop the following morning after a great night's rest in the beautiful hotel was the Orient Pearl Tower. 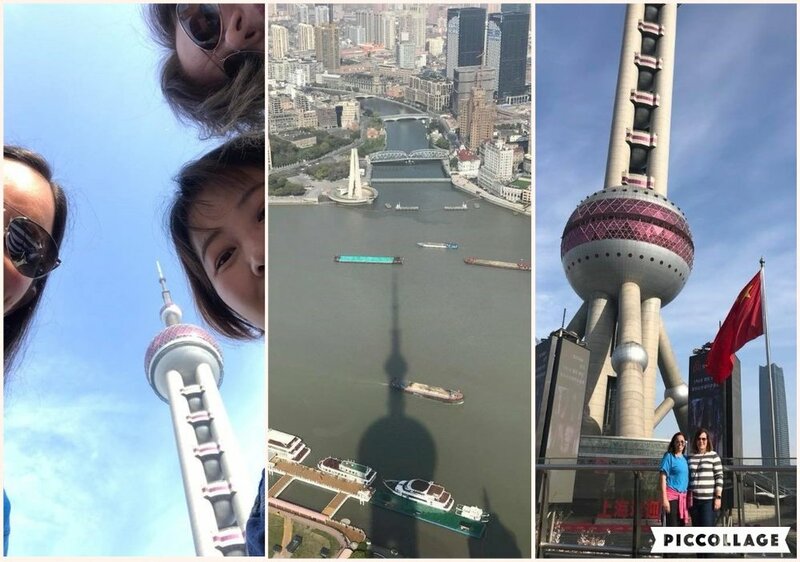 We rode an elevator up a gazillion floors to the Transparent Sightseeing Observatory about 850 feet high. Believe it or not, that floor is not the highest. It continues up another few hundred feet. On the Transparent Sightseeing Observatory level, you can step out in the arc of the pearl(sphere) and the floor is transparent. You can LOOK STRAIGHT DOWN. Not for the acrophobic! Shanghai Museum contains 4 levels of Chinese artifacts. We could've spent a couple of hours looking at everything. Our favorite exhibit displayed the traditional clothing of the minority groups in China. You'll not be disappointed spending time in here. In the middle of all the modern tall skyscrapers, a section of the city definitely stands out. There are no multiple story buildings. It is like you stepped back in time. We walked through an opening in a walled in compound and there he was...Confucius. 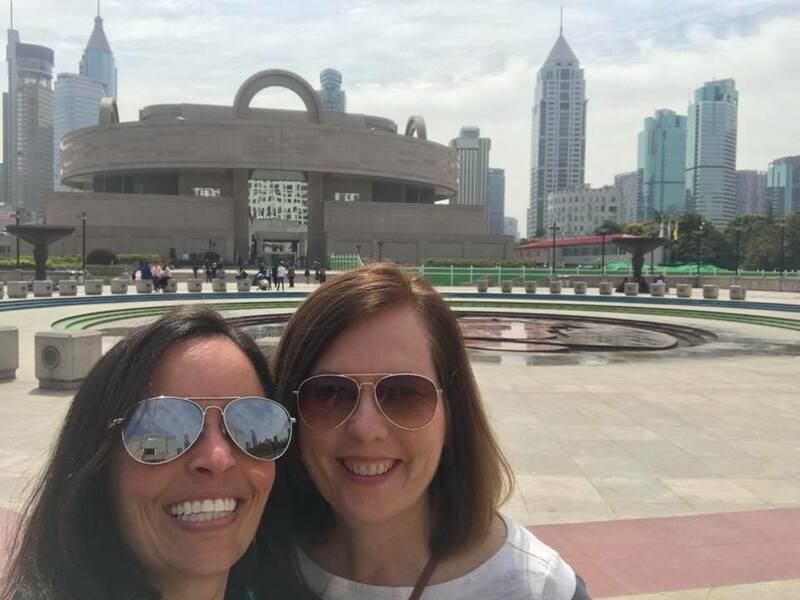 Only 2 days in Shanghai was not enough time to see everything that we wanted to see and experience. Next time we will add at least another day here to our itinerary. Our journey in China ended, but our journey continued...where next? !